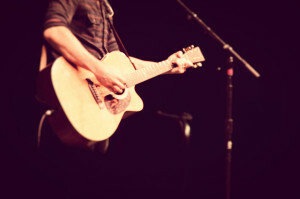 Worship is at the very core of who we are as Christians. It is the very thing that defines who we are. Our word “worship” comes from the old English “worth-ship” meaning to ascribe worth to something. As Christians we believe that the Trinitarian God (Father, Son and Holy Spirit) we believe in is worthy of the highest worthy-ness, because of his message of salvation, and the sacrificial death of Jesus on the cross for our sakes. If God can give us his Son, what can we give him in return that will compare? aims to equip and enable us to be a community that is formed around the worship of Jesus through music and singing. We currently have two core teams based around our worship leaders, Kandis and Paul, with team members rota’d on across the month. Our songs are mainly contemporary requiring a band, but we also mine the best hymns and songs of the past to reflect the diversity of our congregation. Currently we meet at church on certain Wednesday evenings 8-9.30pm in the month, to practice, to pray and to learn. If you’re interested in joining the team (all instruments are considered) please contact Rev Chris to see when we’re next meeting and feel free to come along. All are welcome, whatever their age. Contact Rev Chris Beaumont on 0117 969 7441 for more information.